How did you guys play yesterday SSD in the stock indexes? yes i had a few customers emailing me with success stories today. As usual it comes down to the actual entries and exits, when the general tendency is to fool oneself that one could catch that whole move afdter watching the chart in hindsight, when we all know that the corrections in the middle are not easy to ride out. I rarely get the whole move but there is different tools to help with that like the ATR stop. 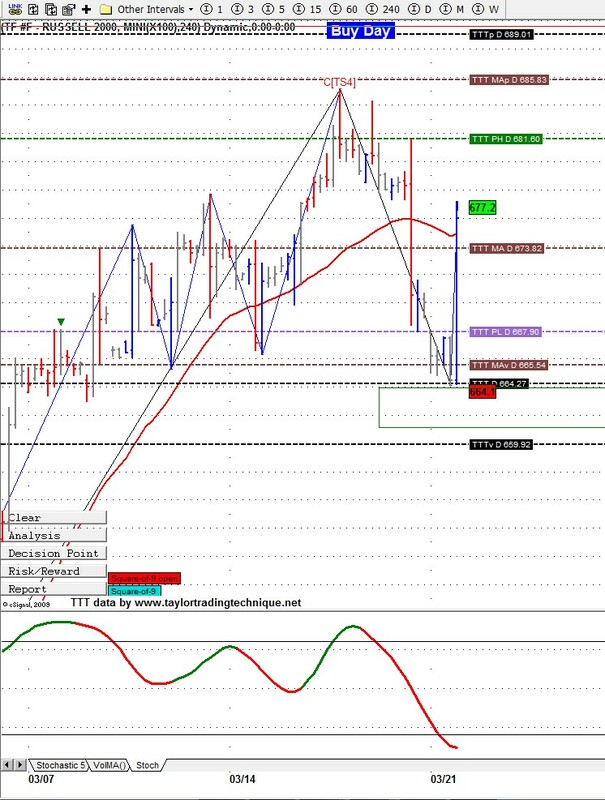 For those who follow the GBPUSD, here is a good example on how to trade a Buy Day. 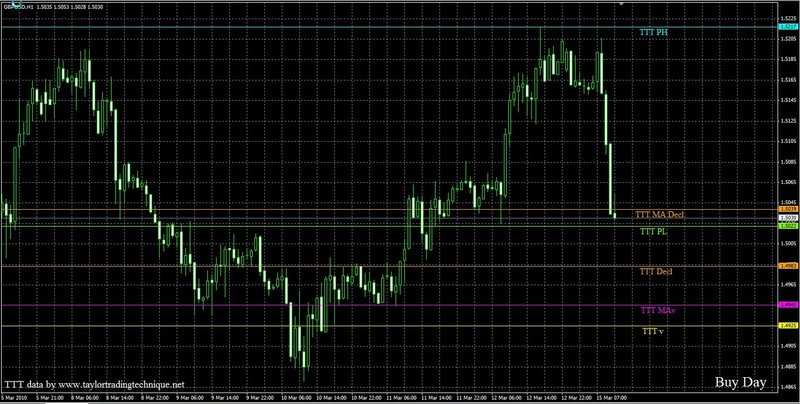 GBPUSD had closed near the highs on Friday. We know that a Buy day means that we will get a decline from the SS day high. Market oppen and tried twice to get above the Previous Day High and Failed. That was the entry point to short. At this point we need to worry about taking profits. As we can see on the attached chart TTT MA Decl, which is the average decline on Buy Day for the last 20 cycles, was at 1.5039, and the Previous Day Low at 1.5022. This would the place where the longs would do battle and the trade should normally end. Now that we know that the Buy Day Low could be also in, Long positions could also be taken. 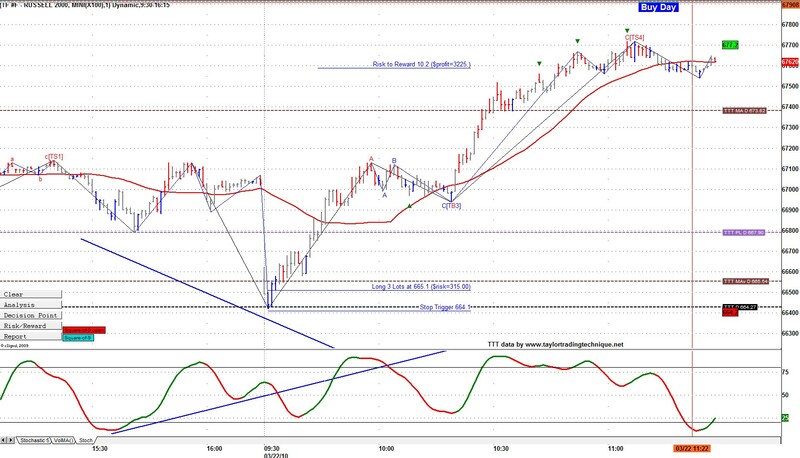 This was a good example of how we can go short on Buy Days and also where a long position could be taken at the BDL. 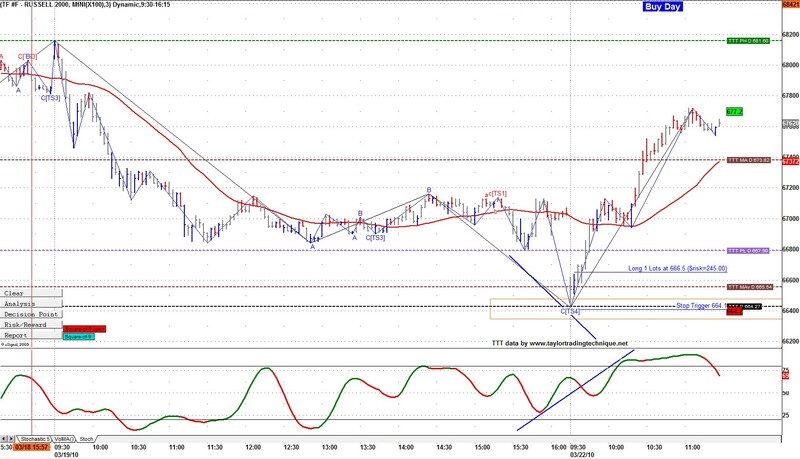 Nice Buy day trade on TF this morning at the open. We opened and reached TTT levels and reversed hard. We were also just at the DP zone on 240 min chart and we had a TS4 on MTP on the 3 min chart. Lots of divergence on both 1 min and 3 min. Today was a SS day and it opened below the Buy Day Low. We know have very good odds of atleast getting back to the BDL at some point today. We made it and just made it. 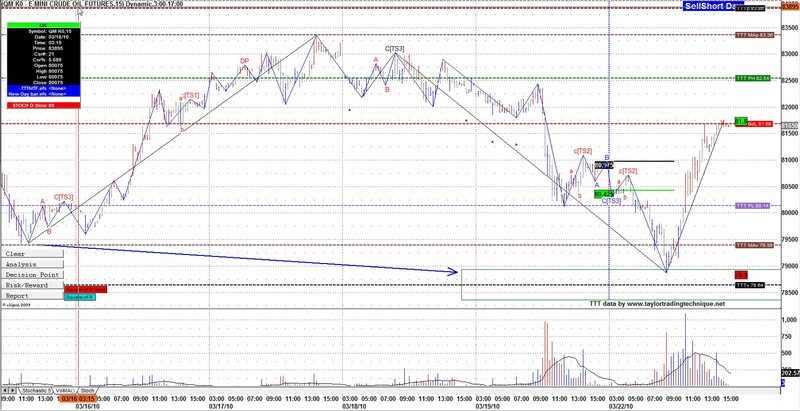 that was a $3 move cant complain here either as we rallied from in between the 2 penetration levels.